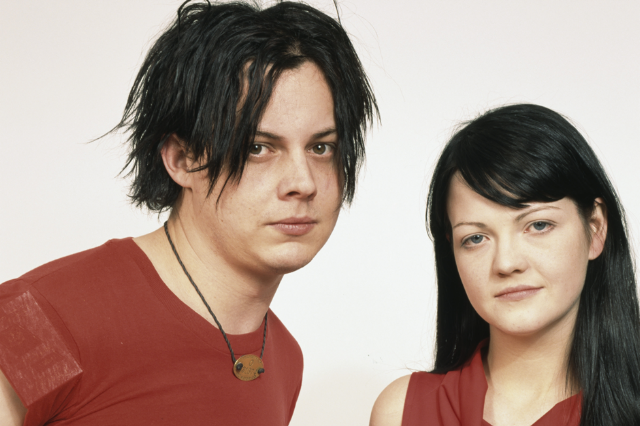 In memory of Detroit’s now-defunct duo, we’ve compiled a list of our favorite White Stripes songs and videos. This article was originally published in Death and Taxes on February 2, 2011. From impromptu live performances to eclectic Michel Gondry productions, we’ve put together a humble list of our top ten White Stripes songs and videos. 10. “Hotel Yorba” live on a Winnipeg bus. The White Stripes’ 2007 Canadian tour featured plenty of ‘secret shows’ — our favorite included this rendition of “Hotel Yorba” on a Winnipeg city bus. The band promised to play every province and territory in Canada on that same tour. With this facetious “One Note Show” in St. John’s, they fulfilled that promise. This ingenious Michel Gondry clip shows multiplying drum sets and guitar amps taking over the Upper West Side. Watch for the Beck cameo around 2:30. Well, this one’s not so much for the video — although we dig the simplicity — but mainly because the song shows Jack’s songwriting versatility. This one’s known to be Conan O’Brien’s all-time favorite White Stripes song. This White Stripes song finds the band in tip-top shape. Plus, the model in the video would go on to marry Jack White. Beck: “The sound of dead cellphones and oil rigs… ladies and gentleman, Jesus’ children of America — The White Stripes!” Jack White tore up the Grammy stage like no one else. Another Gondry clip for the grimy, varied track off White Blood Cells. Jack and Meg took this Dolly Parton song and ran with it. Be sure to also check out the live edition. The one that started it all. Michel Gondry’s LEGO video for the band’s breakthrough hit. The White Stripes first, unofficial, single. This track showcases the Stripes in their purest form— a perfect fusion of punk energy and blues guitar.